Never Seen Before! All Natural Wood Flavored Cinnamon Chewing Stick! Bully Sticks are your substitute to Gum, Candy, Cigarettes and perfect for Cigar Smokers! 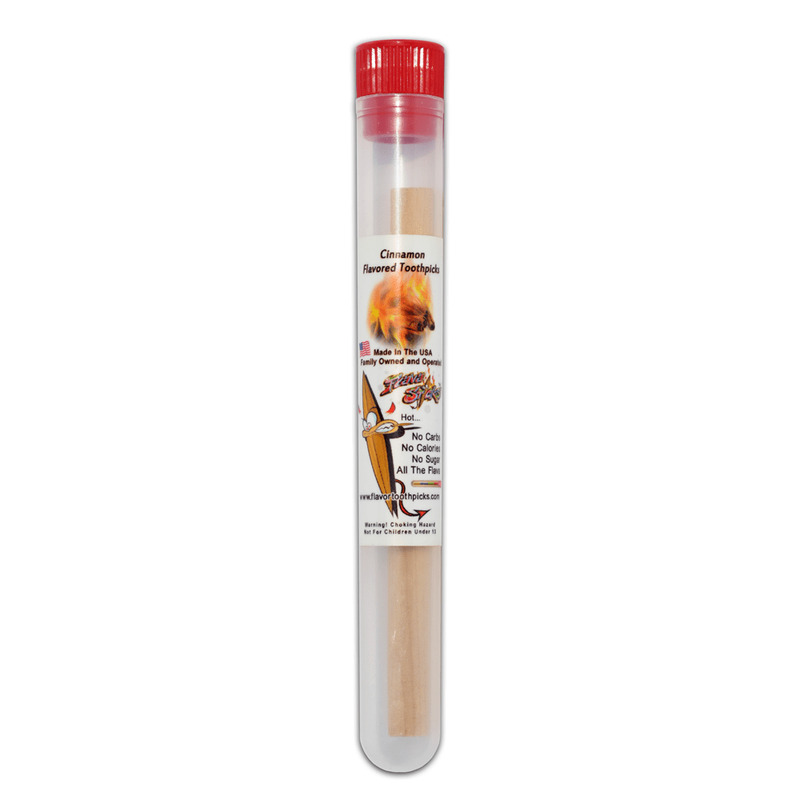 Handy screw-on cap tubes are packed with tasty flavored chewing sticks! Each tube contains (1) 3/8" Diameter x 4" Long Cinnamon Flavored Birch Wood Chewing Stick and (1) Tube Shipped with Each Order. These Sticks are Smooth Birch Wood, Last for Days and Freshen Breath Immediately. Bully Sticks are made by long storage and then dried to lip searing perfection! Quit Smoking Today and chew on a Flavastick or A New Bully Stick! Do you have a habit with chewing on Pens? We Are Setting Standards and Will Be Releasing 6 New Flavors Never Tasted Before! Coming Soon To Locations Near You. Don't Have Flavasticks or Bully Sticks At Your Local Restaurant, Smoke Shop or Candy Store, Tell Them or Refer Us.